Third album officially announced today by Inner Ear Records. “Delta Pi Delta” is coming out on 180gr white vinyl (incl. download card) or digital album on January 4th and is now available for pre-order @ the Inner Ear online store or the label’s Bandcamp page. 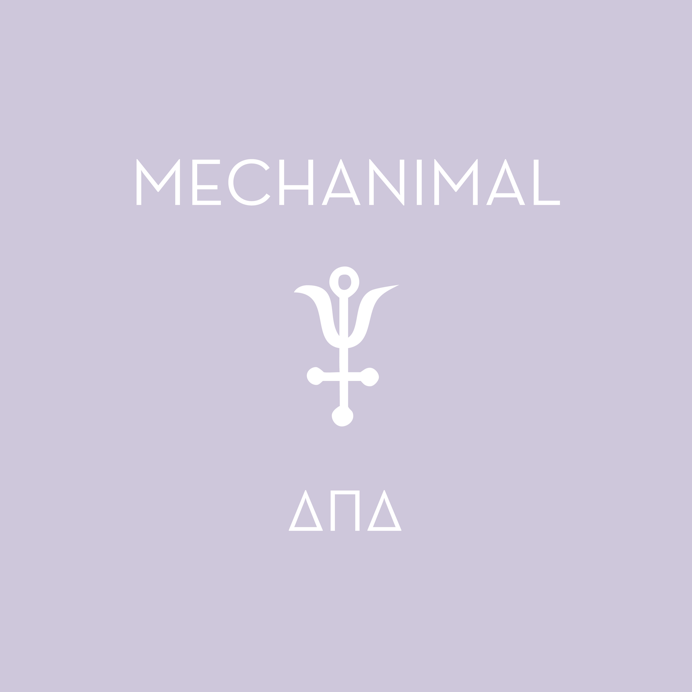 After two albums exploring the dystopian universe of their city in crisis, the Athenian group Mechanimal delve now into the outskirts of their hometown, away from the sociopolitical fragmentation of the Greek capital, inside a deep and prolonged silence of the mountain forests surrounding Athens. “Delta Pi Delta” started with a new lineup, erasing the events of a rather tense and tough past, focusing on nature as a means of escape from the modern depression of urban life. 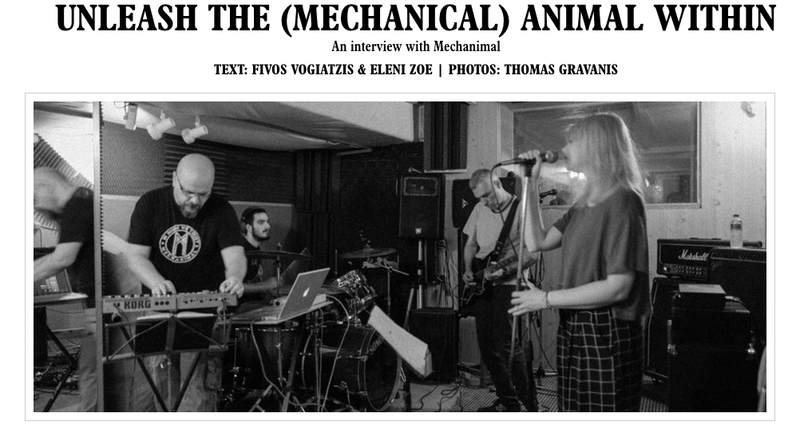 This time with female vocals, featuring lead singer Eleni Tzavara (formerly of Film and Etten), electric guitars by Tassos Nikogiannis and Kostas Matiatos, and electronic programming by Giannis Papaioannou, Mechanimal started recording the backbone of their new album during the spring of 2015, while final editing and mixing took place during August 2015, in an isolated room by some faraway beach. The result of these new recordings is 8 new songs plus 2 instrumentals which will be included as extra tracks in the digital version of the album. Ten new tunes captivating the mystery that lies beneath a quiet life outside a big city. The group’s own hybrid blend of mechanical beats, shoegazing guitar drones and repetitive electronic patterns, shapes now a different perspective that embraces the strangeness and the atmosphere of dreamy landscapes around Athens. The materializing of these silent places into a conceptual sound revealed a new process, which helped the group transform their vision into a tangible medium. 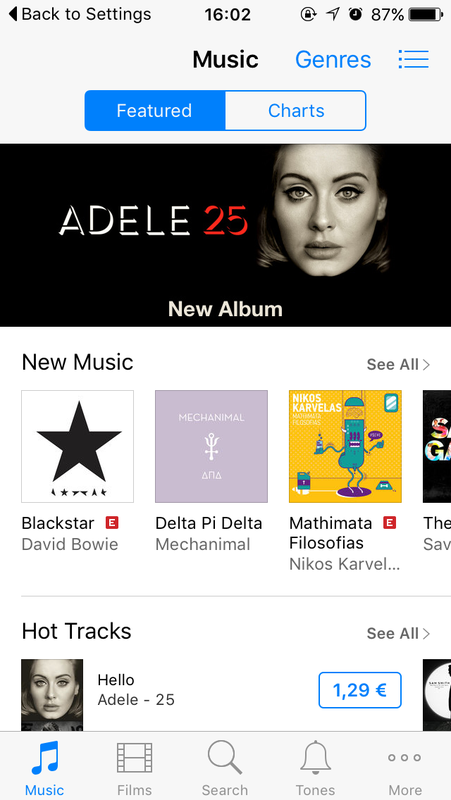 The symbolical acronym title “Delta Pi Delta” is referring to the lyric “giving names to stars”. As a whole it represents the existential journey of any two-footed animal. In this journey, dreams reveal desires and fears that we’re not consciously aware of, but play an important part in consciously or subconsciously helping us become better at dealing with life. “Delta Pi Delta” is dedicated to the loving memory of Greek artist and painter Nicholas Liber (1956 – 2013), a long-term friend of the band. Third new album coming out on January 4th via Inner Ear Records. Beehy.pe is a collaboration of music journalists, bloggers and DJ’s from around the world. They collect and carefully select what’s best in their local scenes to present it to the global audience. In the following link Ares Buras is featuring us through this beautiful site. 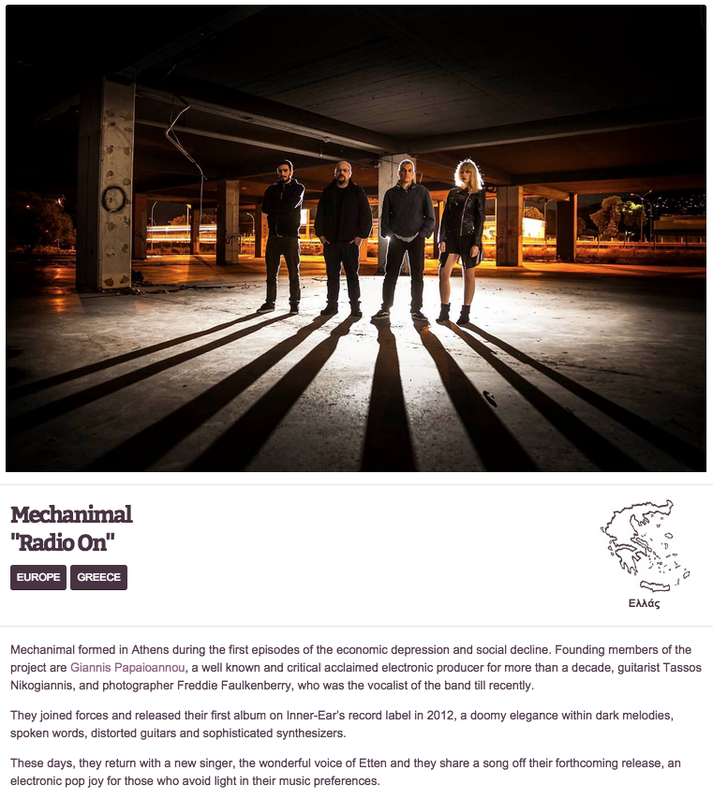 Here is the latest Mechanimal interview on Daily Secret Greece. Sample track from forthcoming album, featuring the band’s new singer Eleni Tzavara (aka Etten). Free download on Bandcamp and Soundcloud from Tuesday 16/6 onwards. Written & produced by Giannis Papaioannou. Cover photograph by Angelica Vrettou. Recorded at Dreamland Studio, Athens during spring 2015. Somebody has to program the machine; somebody has to do the cleaning.